Wow, what a busy few days we have had at Crafters Cupboard. Everyone is LOVING the new paint colours and orders have been flying out the door - even across to New Zealand. I'm sure the car is making it's way to the Post Office on Auto Pilot! While the cupboard is looking a little bare of new paint, the shelves will be filling up again with another stock order arriving from the UK tomorrow….. If you haven't ordered yours yet, get over to our website and check them out. 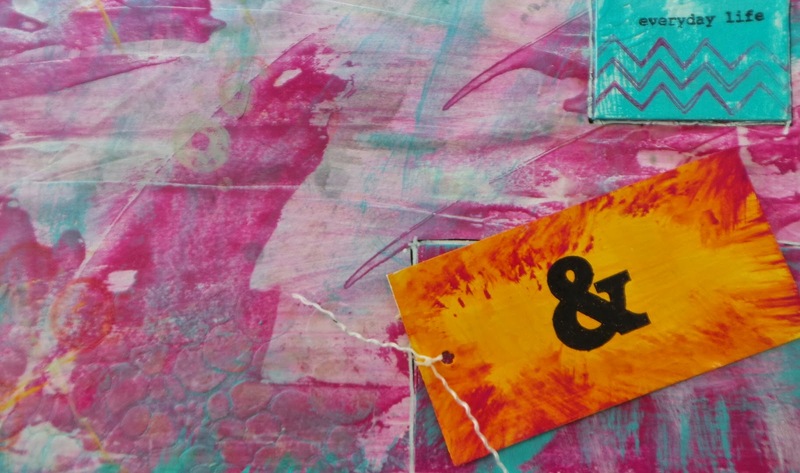 We currently have several art journaling groups working through our six month art journaling basics course which has proved to be very popular. 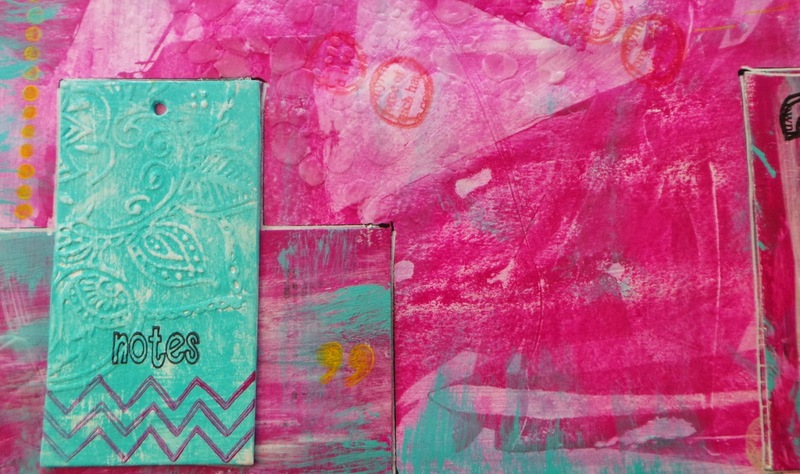 If you have been wondering what art journaling is all about, we've just started a new group. Give us a call for details - it's not too late to join in and details are on our website here under the classes and workshops tab. Today we had our Sunday Art Journaling Workshop group. This great bunch of ladies started out with our 6 month basics course which they completed late last year. They asked if they could keep coming and they still do…. It's wonderful to see the progression they have made in their work from their early days until now. This month's 'challenge brief' was a simple one - limited products to use, some recycling to be done and some journaling. 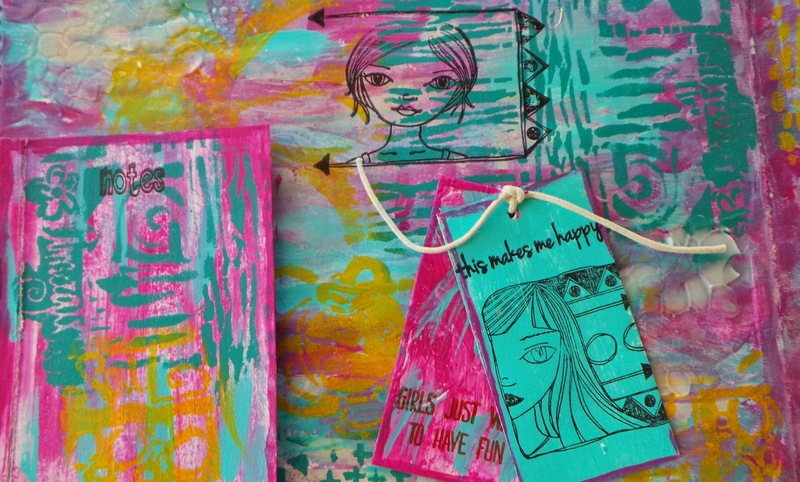 Not too hard, especially as the 'limited' products they were able to use were the new 'limited ' edition paint sets and some of the new stamps designed by Paper Artsy with a leaning towards art journaling. Here's some peaks of the work that the group did today. 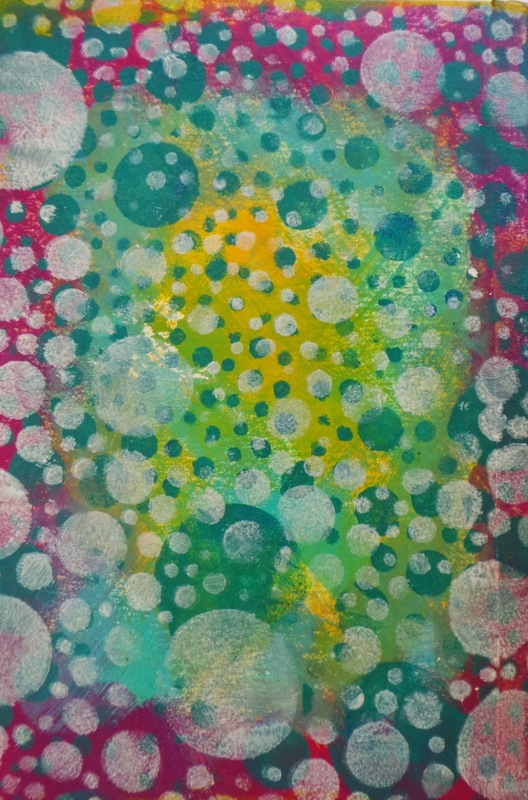 Some still need to finish their work off at home, but you will get a bit of an idea of the vibrant use of the new paints here - the colours are stunning and fabulous to work with. Trust me, these paints do NOT disappoint ..
Julie kept us guessing where she was going with her piece and we all loved the end result achieved with multiple layers and stencilling with paint to create depth, colour, contrast and interest ..
Margaret's work was also very bright - awesome use of those new paint colours and clever use of recycled tags from clothing purchases which hide her journaling underneath.. Love it. 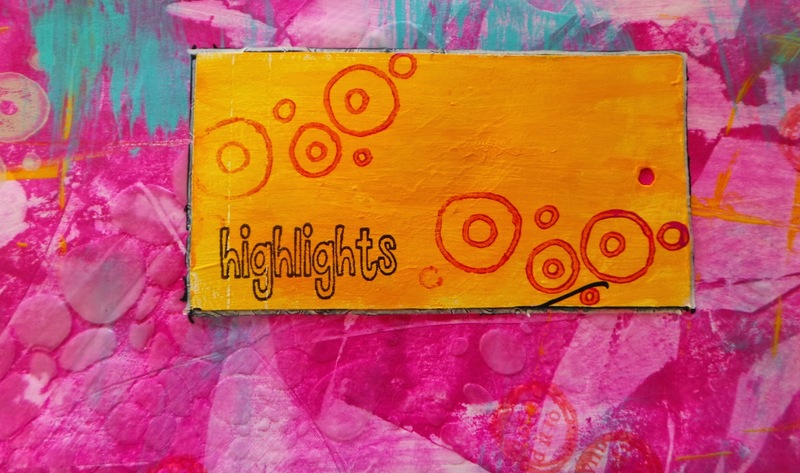 Kate's piece was designed to cleverly hide journaling in unobtrusive places within the spread using recycled tags and she made good use of some of the new stamps which have been designed with the art journaler/pocket scrapbooker in mind…. Brianna also used recycled tags in a clever way, picking up on pre embossing in the tag and using it as a feature, along with some of the new stamps. These sneaky peeks give a good indication of just how bright and vivid the new paints are. 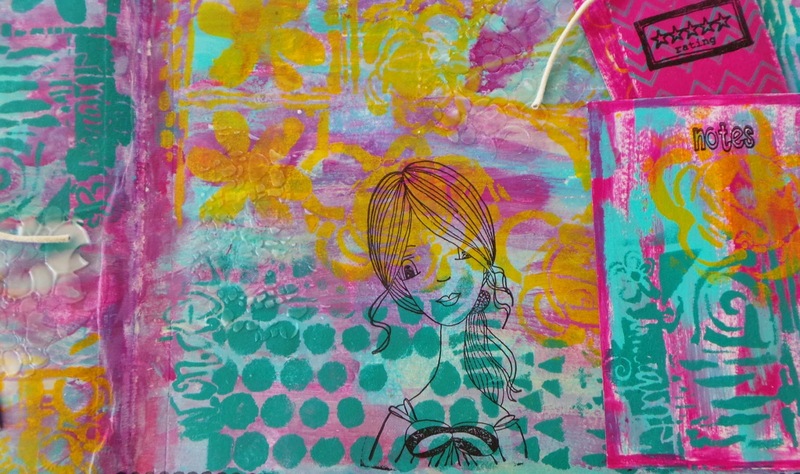 Brights are an upcoming trend and the new Paper Artsy Fresco paints certainly tick all the boxes for art journaling. Some of our ladies couldn't make it today for various reasons, so they'll be playing catch up next month… If they are reading this, they'll get some clues on what they've missed. In the meantime, I'm playing with the new purples and loving them. My page isn't done yet, but they are awesome colours to be using in a monochromatic spread. I'm using them with a new Lyn Perrella plate … Work in progress ….